Unfortunately time constraints (i.e my day job) keep getting in the way of me updating this site so all Ive been able to do so far for The Valley page is a very basic bit of background. 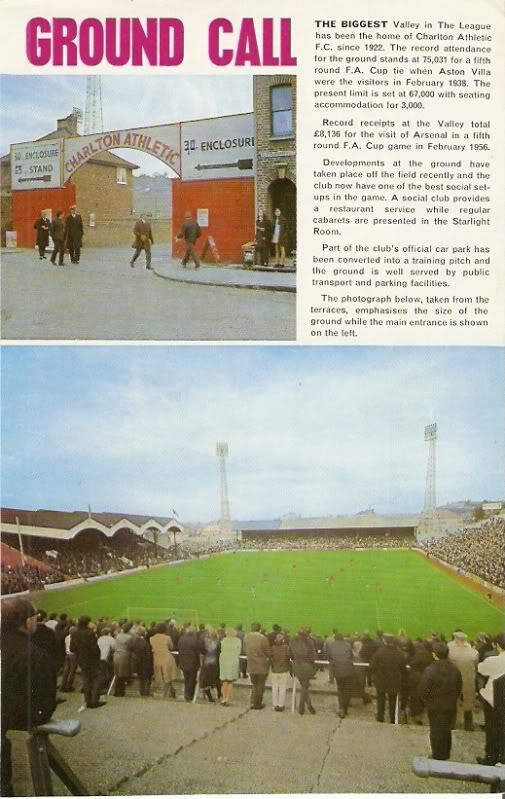 The pictures below were taken from the late 1970s Football Review magazine and show the ground as it used to be. 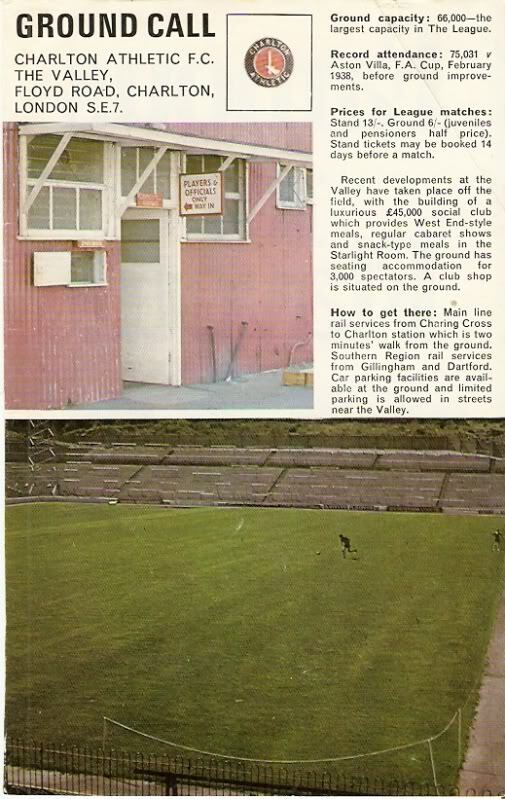 "The biggest valley in the League has been the home of Charlton Athletic FC since 1922. The record attendance for the ground stands at 75,031 for a fifth round FA Cup tie when Aston Villa were the visitors in February 1938. The present limit is set at 67,000 with seating accommadation for 3,000. Record receipts at the Valley total £8,136 for the visit of Arsenal in a fifth round FA Cup game in February 1956. Developments at the ground have taken place off the field recently and the club now have one of the best social set ups in the game. A social club provides a restaurant service while regulars cabarets are present in the Starlight Room. Part of the clubs official car park has been converted into a training pitch and the ground is well served by public transport and parking facilities." I have also found an absolutely stunning piece of old film footage on Google that shows the old Valley as it used to be in the 1970s.